I'm interested in doing a project with local hip-hop artists and/or dj's. 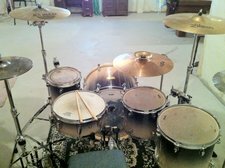 I'd be into playing as a live drummer for shows or to write new material. I'm a student at UVic so my availability can be limited from time to time but I'm able to make a commitment to a single project. I do have a rehearsal space as well. I'm open to pretty much anything so hit me up if you have something in mind.